Interesting info-graphic on Road Safety in Ireland courtesy of www.injury-solicitors.ie/. When you set out on a journey, you don’t expect to breakdown or be involved in an accident, but it can, and does happen to drivers on a daily basis. And whether you’re on the motorway, in a city, town or on a rural road, it can be highly dangerous as well as inconvenient. So to avoid panic and putting yourself in unnecessary danger, here are the right steps to follow if an accident or breakdown situation does arise. DO stay calm, put your hazard lights on, and find a safe area to stop if possible. DO set out cones or a reflective triangle to make the accident area more visible to other vehicles. (Make sure you have the right contents in your car for all eventualities). This is particularly important if the crash happens at night or at anytime visibility is low. DO ask everyone if they’re injured or feeling unwell. DO call 999 to alert the Gardaí and, if necessary, ambulance and fire services. DO take the names and contact details of any witnesses, including passengers in every vehicle involved in the crash. DO ask to see the other drivers’ licences, and take down their licence number, number plate and address. All parties should exchange policy numbers and the names of the insurance companies should be written down. DO (if possible) take photos or make notes on the accident scene, i.e. the direction the cars are in, skid marks and any debris from the accident. DO contact your insurance company and give them all the information you gathered at the accident, such as the drivers’ insurance details, the damages sustained, and the types of vehicle involved in the accident. DON’T ever leave the engine running, otherwise it can become a safety hazard and you risk starting a fire. Once your vehicle has stopped, turn off the ignition immediately. DON’T administer first aid without the consent of the injured person if they are able to give it. If possible, don’t move or attempt to treat severe injuries until medical services arrive. DON’T under any circumstances leave the accident until the Gardaí have arrived. DON’T at any time make an admission of fault. 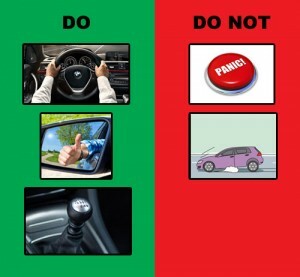 Finally, in any situation – accident or breakdown try not to panic. Shock and anger are natural emotions, especially in the event of an accident, but if you do your best to remain calm and in control of the situation, it will be a lot easier to get through. This content is published with the consent of Liberty Insurance. Visit the Liberty Insurance Facebook and Twitter pages for more #DriveSafer tips or get a car insurance quote today. Time to Replace Your Wiper Blades? Visibility is key to safe driving, especially here in Ireland. A well maintained set of wiper blades are essential not only when facing the wet weather conditions, but also with regards to the continued cleanliness of your windscreen. It is important to not wait too long to replace worn blades. A torn wiper blade can allow the wiper arm to rub against the glass, which can potentially ruin the windshield. 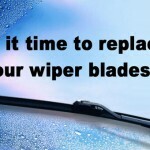 How Often Should You Replace Wiper Blades? Autumn: the heat after summer accelerates the wear. Replace those wiper blades before winter comes. Spring: the bad weather will decrease the efficiency of your wiper blades. Replace ahead of the summer. Your wiper blades leave tracks / haze on the windscreen. Wiper blades slide / scrape badly. Wiper blades are noisy / squeaky. It’s advisable to give the rubber blades a wipe down every month. This will remove any debris, grime or loose bits of rubber. Use Alcohol wipes are recommended for this. You can increase the lifespan of the blades by keeping your windshield clean. Wash your windshields with alcohol to get all of the oil residue from the road off your windscreen. 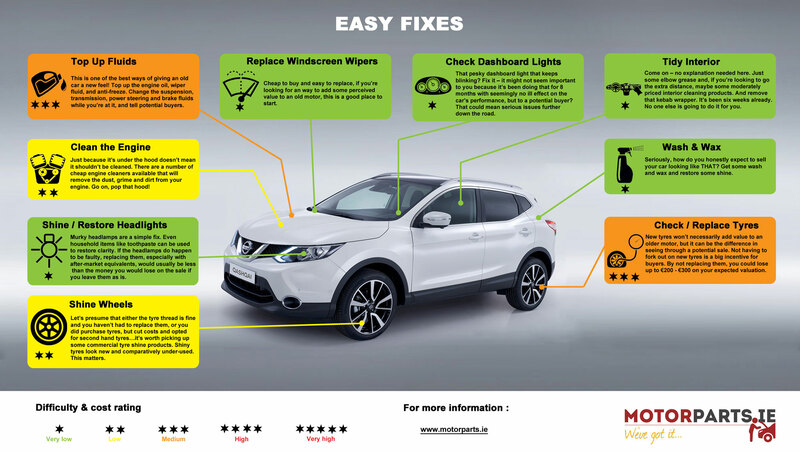 Also, fix any chipped segments on the windscreen – these cut wiper blades. During the winter months, defrost the windscreen before switching on the wiper blades. With our tools and your registration number, we can find the specific wiper for your car. Just head to motorparts.ie. Be sure to check the product notes and images provided to ensure they match your current wiper blades. Leaving your tyre under-inflated is the absolute worst thing you can do to it. I’m stating the obvious here, but given that air is the very element that enables a tyre to carry the substantial weight of a vehicle and its contents, leaving it gasping is a sure fire way to ensure the various components get pushed beyond their limits eventually leading to blowouts. Under-inflated tyres reduces endurance and braking, makes road-holding less precise and increases fuel consumption as well as the risk of aquaplaning. Check your vehicle’s handbook for the recommended pressure. 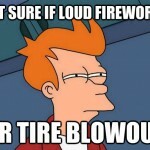 Tyre Blowout: Under-inflated and overloaded Tyre’s. Your tyres have a Load Index located on the sidewall. Find, it, check it and, here’s the really important part, ADHERE TO IT! Overloaded tyres build up an excess in heat. Excess heat leads to serious tyre damage, such as blowouts. This rule also applies to the maximum axle load rating on your vehicle. And remember, the maximum pressure number found on the tyre sidewall only applies to tyres that are fully inflated. If you do hit a pothole, stop the car as soon as it’s safe to do so and check for cuts in the rubber or lumps in the sidewall. Check to see if the steering pulls excessively to one side or whether there’s a vibration through the steering. If so, get to a garage / tyre specialist, as driving will only further deteriorate the condition of the tyres. Be aware that sometimes, these tell-tale signs won’t be immediately apparent. The true extent of the damage incurred only reveals itself after a number of months. This is really the result of all of the above combined, a gradual accumulation of damage through under-inflated tyres, overloading and occasional happenstances with potholes, all of which are accompanied by a general idleness on the owners part to deal with the issues initially. Don’t let it get to that stage – better to deal with the issues head on rather than risk the tyres failing when driving on the motorway at speed with the entire family on board en-route to a family holiday. Now, should you be unfortunate enough to experience a tyre blowout (either through no fault of your own or because you ignored the warning signs), there are a number of actions you can take to avoid turning a minor accident into a potentially fatal one. Do NOT slam on the brakes or make any sudden turns. Keep both hands firmly on the steering wheel and maintain a straight direction. Check the mirrors on both sides for other traffic and plot the safest route to a gradual stop. Bring the car to a gradual stop – a sudden deceleration will only place more weight on the damaged front tyre which can cause the car to veer dangerously to that side. If that happens the rim may grip the tarmac which can cause the car to flip. Lower gears can be more effective than braking to reduce the speed in manual cars. Blowout’s on the rear tyres causes’ excessive drag which impacts on the car’s balance. An imbalanced car will be difficult to steer straight. To avoid spinning out, take your foot gradually off the accelerator. Engage the lower gears as opposed to braking and bring to a slow and steady stop. Getting the most for your second-hand-car! With sales of new cars in Ireland reaching pre-2008 figures, the second-hand-car market is about to become a whole lot more competitive with an influx of vehicles expected. If you’re one such person looking to trade up, there are some things you might want to consider before attempting to offload your second-hand-car. There’s a number of things you can do to ensure you get the maximum value on a second hand motor that don’t require mechanical expertise or a lot of money. Equally, there are a number of jobs that should ALWAYS be left to the professionals. 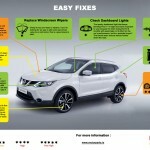 We’ve outlined below some tips for easy fixes, our recommendations for jobs best left to the professionals as well as some additional pointers for getting the best value for your old motor. Jobs best left to the professionals and other helpful tips for selling your car!